AP Services, a product and service brand of Curtiss-Wright, is a manufacturer and integrated supplier of a wide variety of specialized fluid sealing products for use in the power generation, chemical, pulp & paper, and refining industries. Style 950 is a ceramic-based material suitable for extreme, high temperature applications. 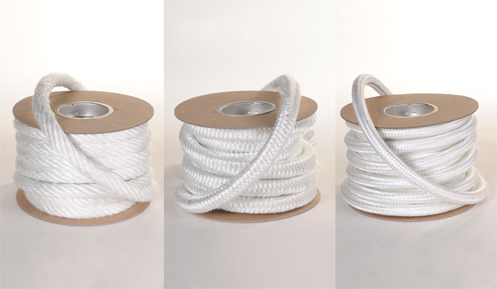 It is manufactured from alumina-silica fibers in the form of three ply twisted rope. This product resists attack from the most corrosive agents except hydrofluoric acids and alkalies. Style 951 ceramic fiber packing is manufactured in a square braid construction. Style 950 and 951 effectively seal pressure and media on boiler doors, precipitator doors, lids, and expansion joints. Style 959 is manufactured from a combination of synthetic fibers blended together by a unique process. 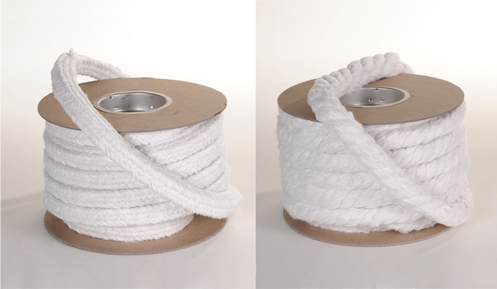 Twisted strands of this pliable fiber provide a general utility product with a wide variety of industrial applications. Style 961 is a square braid version of Style 959 producing denser rope with less compression than twisted rope. For use on boiler doors, furnace doors, lids, and expansion joints. 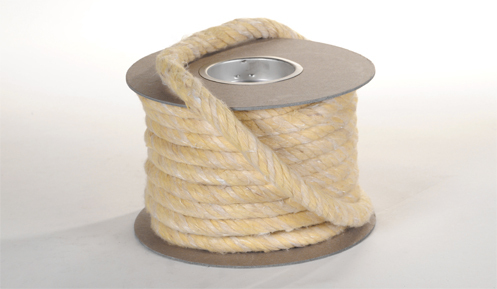 Style 955 is a textured fiberglass rope of twisted construction. It is completely incombustible and capable of withstanding continuous temperatures up to 1000 ºF. Style 956 is manufactured from the same fiberglass fiber in a square braid construction. Style 955-B has a round braid construction. These styles are recommended for use on boiler doors, furnace doors, lids and vessels.